If you do not agree to or do not understand any or all of these terms, please do not use these web pages. Materials and information on the Town of Beacon Falls Economic Development Commission website are provided as a public service and intended to afford general guidelines on matters of public interest. Except as provided herein, no material or information from this site may be copied, reproduced, republished, uploaded, posted, transmitted, or distributed except as authorized in this notice, expressly authorized within this site, or approved in writing by the Town of Beacon Falls. Unless a copyright is indicated, information on the Town of Beacon Falls website is in the public domain and may be reproduced, published or otherwise used with the Town of Beacon Falls Economic Development Commission permission. We request only that the Town of Beacon Falls be cited as the source of the information and that any photo credits, graphics or byline be similarly credited to the photographer, author or Town of Beacon Falls, as appropriate. Using or modifying this site’s materials and information for commercial or profit making purposes is prohibited and may violate the copyrights and/or other proprietary rights of the Town of Beacon Falls or third parties. A statement by you, made under the penalty of perjury under the laws of the State of Nevada, that the above information in your Notice to the Town of Beacon Falls is accurate and that you are the copyright owner or authorized to act on the copyright owner’s behalf. This copyright notice does not pertain to information on websites other than the Town of Beacon Falls Economic Development Commission website (beaconfalls.biz). Some materials and information used on the Town of Beacon Falls Economic Development Commission website were generated by third parties who have consented to the town’s use or placement of such materials on this site. These materials are owned by those parties. Use of these third party materials for any purpose is prohibited. Persons seeking to use or modify third party materials for any purpose should contact the owner of such materials directly. These materials include icons and graphics used in links to other organizations’ sites, as well as various items of general content. Reference in this site to any specific commercial product, process, or service by trade name, trademark, manufacturer or otherwise, does not constitute or imply an endorsement, recommendation, or favoring by the Town of Beacon Falls. The views and opinions of the authors of documents published on the Town of Beacon Falls Economic Development Commission website do not necessarily state or reflect the opinion of the Town of Beacon Falls, and shall not be used for advertising or product endorsement purposes. The Town of Beacon Falls Economic Development Commission website may contain hypertext links to other sites on the Internet. The Town of Beacon Falls is not responsible for the content, quality, or accuracy of any off-site materials referenced or linked through the Town of Beacon Falls Economic Development Commission website. 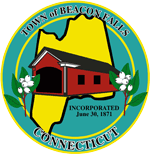 By using the Town of Beacon Falls Economic Development Commission website, the user acknowledges and accepts that the Town of Beacon Falls is not responsible for any materials stored on other internet sites, nor it is liable for any inaccurate, defamatory, offensive, or illegal materials found on other internet sites, and that the risk of injury from viewing, hearing, downloading, or storing such materials rests entirely with the user. Links from the Town of Beacon Falls Economic Development Commission website to other sites on the internet do not constitute an endorsement of the Town of Beacon Falls. These links are provided for informational purposes only. It is the responsibility of the user to evaluate the content, quality, and accuracy of materials or information obtained from other sites. The Town of Beacon Falls shall not be held liable for any improper or incorrect use of the materials or information contained on this site and assumes no responsibility for any user’s use of them. In no event shall the Town of Beacon Falls be liable for any damages, whether direct, indirect, incidental, special, exemplary or consequential (including, but not limited to, business interruption or loss of use, data, or profits) regardless of cause, and on any theory of liability, whether in contract, strict liability or tort (including negligence or otherwise) arising in any way out of ht use of this site or the materials and information contained on this site, even in advised of the possibility of such damage. This disclaimer of liability applies to any damages or injury, including but not limited to those caused by any failure of performance, error, omission, interruption, deletion, defect, delay, computer virus, communication line failure, theft or destruction of data, whether for breach of contract, tortuous behavior, negligence, or under any other cause of action. Users are encouraged to consult with appropriate and accredited professional advisors for advice concerning specific matters before making any decision, and the Town of Beacon Falls disclaims any responsibility for positions taken by individuals or corporations in their individual cases or for any misunderstanding and losses, directly or indirectly, on the part of the users. The materials in this site are provided “as is” and without warranties of any kind express or implied. To the fullest extent permissible to applicable law, the Town of Beacon Falls disclaims all warranties, expressed or implied, including but not limited to, implied warranties of merchantability, fitness for a particular purpose and title to any of the materials provided on this site. The Town of Beacon Falls does not warrant that the functions contained in the materials will be uninterrupted or error-free, that defects will be corrected, or that this site or the server that hosts it are free of viruses or other harmful components. The Town of Beacon Falls does not warrant or make any representations regarding the use or the results of the use of the materials in this site, or through links to other sites, in terms of their correctness, accuracy, reliability or otherwise. The user (and not the Town of Beacon Falls) assumes the entire cost of all necessary servicing, repair, or correction. Changes are made periodically to many Town documents, including Municipal Codes, Charter Sections, regulations, guidelines, and schedules. These changes may or may not be reflected in the materials or information present on the Town of Beacon Falls Economic Development Commission website. Additionally, because the site is frequently under development, materials and information may be deleted, modified or moved to a different part of the site without advance notice. To the extent permitted by applicable law, by using the Town of Beacon Falls Economic Development Commission website, the user agrees to defend, indemnify, and hold harmless, the Town of Beacon Falls, its agencies, officers, employees, representatives, and agents from and against all claims and expenses, including attorneys’ fees, arising out of the user’s use of this site or materials and information contained on this site. In order to protect your privacy, we will not share any of your personal information with any third party, except (1) in an aggregated, summary form; (2) to fulfill governmental, legal and regulatory obligations (including your obligations under the Terms and Conditions); (3) to process your transactions on this website; or (4) pursuant to your explicit authorization. We believe that the information collected from citizens should only be that which is necessary to provide the information or services sought by a requester, just as a person might provide such information when visiting our offices in person. The information collected is subject to the same controls and uses as that collected by governmental offices visited in person, again subject to the access and confidentiality provisions of the State of Nevada and Town of Beacon Falls laws and federal law. “Personally identifiable information” or “personal information” means any information relating to an identified or identifiable individual who is the subject of the information. You do not have to provide personally identifiable information. Users do not have to provide personally identifiable information to visit the Town of Beacon Falls website or to download information. We may in the future request personally identifiable information from you in order to provide requested specialized services, but such information would be handled as it would be on an in-person visit to a government office. The Town of Beacon Falls has information about individuals or information which can be identified or associated with a particular individual retained in the public records. Access to this personally identifiable information in public records at state and local levels of government in Nevada is controlled by Nevada law. Information that is generally available under Nevada law and not made confidential elsewhere under Nevada or Town of Beacon Falls or federal law may be posted for electronic access through the Town of Beacon Falls website. Nevada law recognizes many concerns people have with regard to public records that include information about them, including the right to correct inaccurate information. Consequently, persons concerned with regard to information about them should contact the custodian of the record, which typically is the state agency or other governmental entity that collects and maintains the information. All information collected on our website will be treated the same as any written communication and is subject to the confidentiality and public disclosure provisions of applicable State of Nevada and Town of Beacon Falls laws and federal law. Email messages sent to any Town of Beacon Falls address will be treated the same as any other written communication. Email addresses obtained as a result of a request to our website will not be sold or given to private companies for marketing purposes. The information collected from your email message is subject to the disclosure, access and confidentiality provisions of State and Town of Beacon Falls laws and federal law. Email or other information requests sent to our website may be maintained in order to respond to the request, forward that request to the appropriate agency, communicate updates to the page that may be of interest to citizens, or provide our Web designers with valuable customer feedback to assist in improving the site. Any other information provided by you at the request of the Town of Beacon Falls or an agency thereof, such as the completion and electronic filing of a form, will be considered to be voluntarily provided by the visitor and will be treated in the same manner as information provided in written form or in person during a visit to the agency. In order to use any web-based payment service on the Town’s website, you will have to provide only the personal information necessary for us to complete the transaction. We will notify you when you have to provide your personal information. If you choose not to provide your personal information, we will be unable to complete your transaction and you will not be able to use the payment service. The amount and type of personal information that we will collect from you will depend on how you decide to make your payment (e.g., credit card). We may archive your personal information for auditing, diagnostic and user support purposes. We are required to provide select personal information (such as your credit card number and account expiration date) to our money transmission vendors to the extent necessary to process your payment for services on our site. We are committed to data security and the data quality of personally identifiable information that is either available from or collected by our website. Unfortunately, no information transmitted via the Internet is guaranteed to be completely secure due to the nature of the Internet. But we attempt to safeguard your information from loss, misuse or alteration. To prevent unauthorized access, maintain data accuracy, and ensure the appropriate use of information, we have instituted physical, electronic and managerial procedures to protect your personal information. For example, only certain authorized Town of Beacon Falls personnel have access to your personal information, and this information is password protected. We also use firewalls and Secure Socket Layers, where appropriate. Further, we may have outside companies perform periodic security audits and we may use intrusion detection systems to guard against unauthorized access. Information provided on the Town of Beacon Falls website is intended to allow the public immediate access to public information. While all attempts are made to provide accurate, current and reliable information we recognize the possibility of human and/or mechanical error. Therefore, the Town of Beacon Falls, its employees, officers, and agencies expressly deny any warranty of the accuracy, reliability or timeliness of any information published by this system and shall not be held liable for any losses caused by reliance upon the accuracy, reliability or timeliness of such information. Any person who relies upon such information obtained from this system does so at his or her own risk. Your use of the Town of Beacon Falls website constitutes acceptance of this Privacy Statement, meaning you expressly consent to our use and disclosure of your personally identifiable information in accordance with the terms of this Privacy Statement.